Don’t Be Overwhelmed By Online Lenders…. Online lending platforms are an integrated diverse group of lenders that allow small businesses the ability to apply for loans on one site and receive offers from multiple direct lenders. Sometimes referred to as Peer to Peer lending (P2P) is the practice of lending money to individuals or businesses through online services that match lenders directly with borrowers. Since the peer-to-peer lending companies offering these services operate entirely online, they can run with lower overhead and provide the service more cheaply than traditional financial institutions. 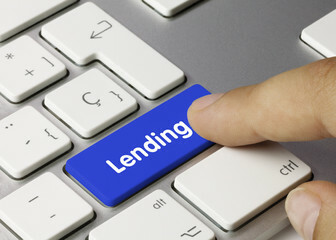 As a result, lenders often earn higher returns compared to savings and investment products offered by banks while borrowers can borrow money at lower interest rates, even after the P2P lending company has taken a fee for providing the match-making platform and credit checking the borrower. Recently, some providers have begun offering a “disclosure box” to provide a transparent point for borrowers to compare loan products. This is helpful to consumers and small to medium business enterprises as it clearly defines all the ins and outs when applying for credit online. Transparency is the foundation of both investor and borrower protection. This is clearly a step in the right direction requiring the online lenders to prominently state the cost of a loan and other pertinent details to applicants. Loans must be priced based on risk and APRs and fees must be displayed in easily understandable terms. It simply levels the playing field for applicants and allows for the accurate comparison of products. The days of applying for a loan in person to a neighborhood bank are all but gone. Now days almost every aspect of business is obtainable on-line with just a few clicks. Knowing what product is right for your business can be confusing so having all the details at your fingertips is key. Remember you don’t have to be overwhelmed, let the facts speak for themselves.